Bring your twin to see My Sister, starring identical twins Elizabeth and Emily Hinkler, and get a free ticket! 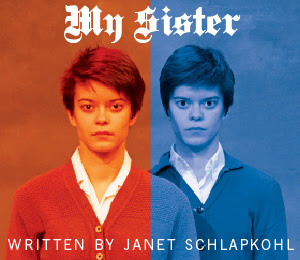 My Sister is the story of identical twins living in early 1930s Berlin. Magda is an aspiring cabaret singer. Matilde, affected with cerebral palsy, is housebound, where she writes all the material for her sister’s act. Performances of My Sister continue through March 13 at the Odyssey Theatre. For more information and “Twin Night” and to make a reservation, call (310) 477-2055 or go to www.OdysseyTheatre.com.